Hey all! How was your weekend? Mine was spent visiting my bro and sis-in-law in Omaha, eating good food and definitely hitting up the thrift scene. There are a lot of thrift stores in their area, including some Goodwills that (possibly for worse?) look like something straight out of a department store. I'm starting to see this nonprofit's trend all over the country, and am not totally on board with it. I know it sounds like a reseller who just wants to complain, but I'm thinking more about the people who have shopped at thrift stores and depended on them since before they were trendy. My guess is their incomes haven't gone up like the prices in these stores have, and I really hate to think that they can't get basic necessities like clothes anymore because of this shift. Some vintage cream boots that I couldn't stop wearing this weekend! Another Samsonite travel bag in a pretty reddish color. 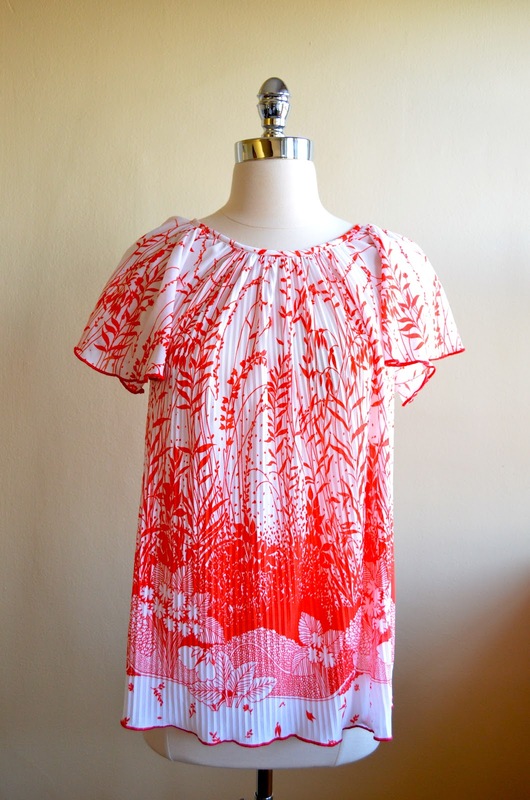 A red-and-white floral peasant top. 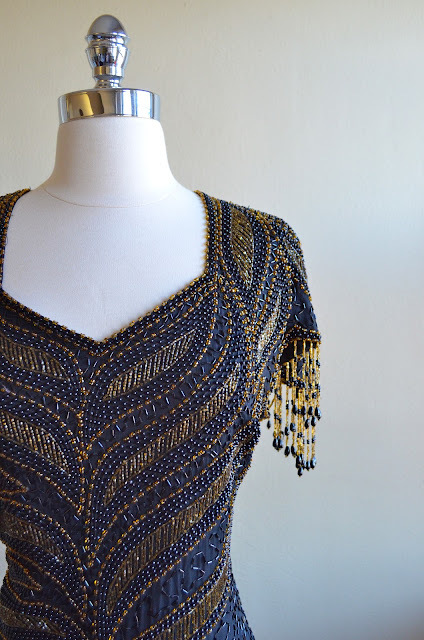 A gorgeous beaded cocktail dress. A lovely teal Glasbake mixing bowl for the kitchen! A brown Pyrex refrigerator dish. A pink Pyrex pie plate. 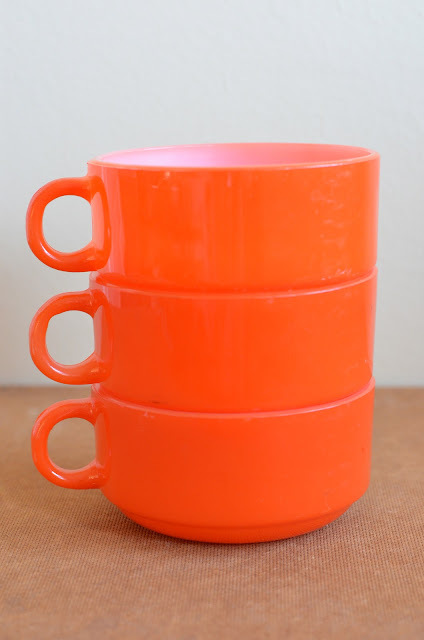 Three orange Glasbake soup bowls/mugs. And something I've been trying to find for a very long time: a Pyrex Flameware double boiler. 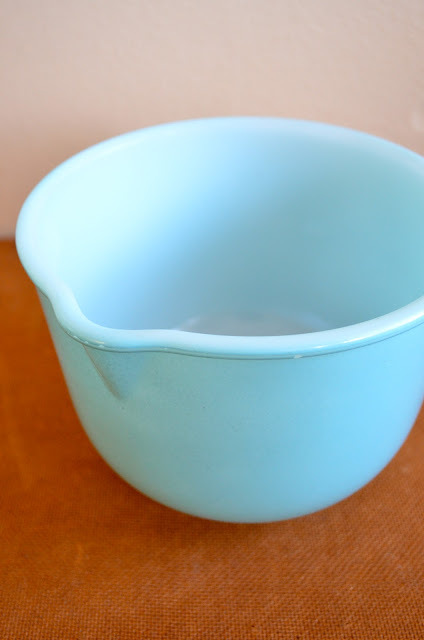 So, clearly, this was a vintage kitchenware weekend. 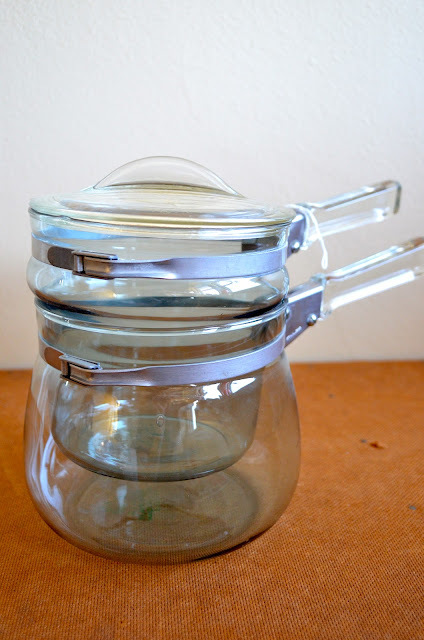 I must have Pyrex and Glasbake on the brain! You turn! What goodies did you find this weekend? 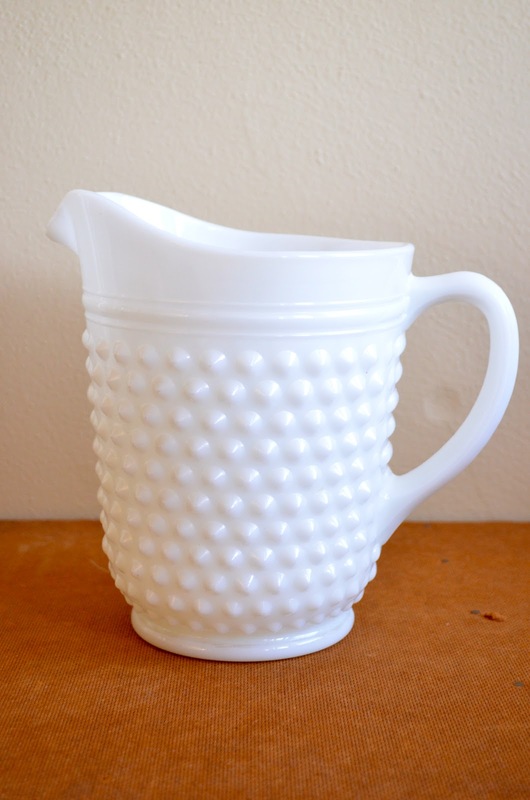 I love the hobnail pitcher. White hobnail milk glass always so fresh looking. I also like that peasant blouse very bohemian chic. Nice finds. Thank you! I agree, white hobnail is so versatile...pretty year-round and kinda timeless. I think my favourite has to be the cocktail dress - just look at that detail! 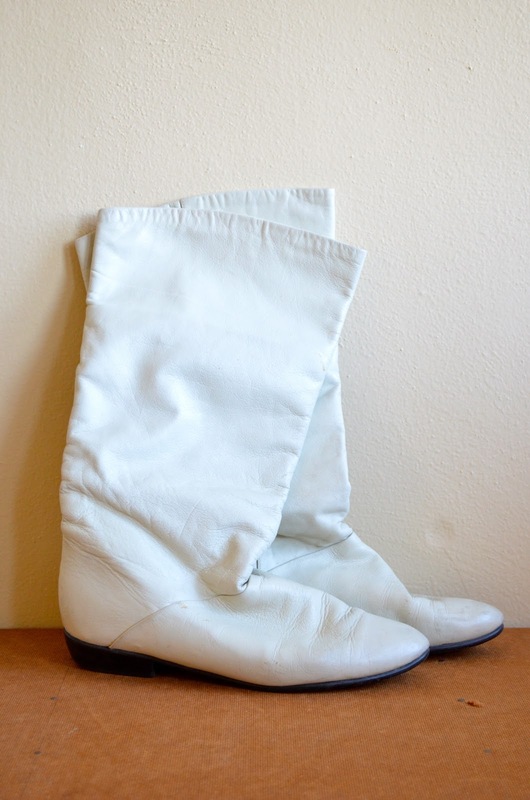 Your boots are cool too. Ahhh! I'm a fellow Mizzou alum as well and I've recently become an antiquing/thrifting addict...I'd never heard of Midway either! Now I really want to check it out next time I'm in MO!